Get a sure end of tenancy cleaning services by calling 0151 673 0104 and never worry about getting your security deposit back, we work with vetted and highly experienced EOT cleaners. All equipment and detergents are focused towards the uncompromising results you called us for in the first place. This end of tenancy cleaning services in Liverpool is not hourly based, so you won't have to worry about the time it will take us to clean. You pay and book us for a fully cleaned property/flat and this is exactly what you are getting, no compromises. Often our teams work around the clock to ensure the promised results. 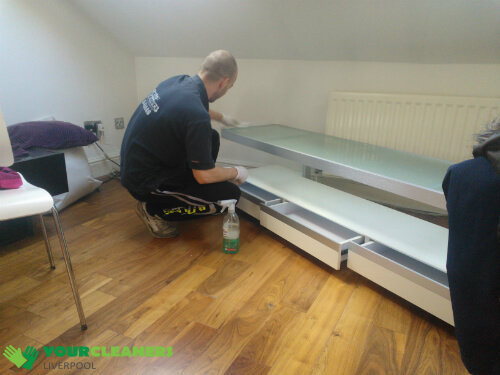 We also have a 48-hour service guarantee, if you or the landlord are not satisfied with the results after we are finished, we will do the move out cleaning again for free so your post tenant cleaning is guaranteed. We do request that properties be vacated fully before our arrival as this service is not suitable for such occasions. In cases where there are still personal belongings or living residents, we can offer one-off cleaning or domestic cleaning, however, this needs to be requested beforehand. The service can be booked weeks or months in advance with no contracts or security deposits of our own. We are available for booking during weekends and bank holidays. 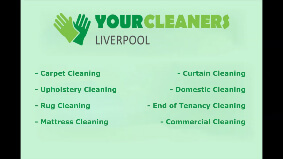 Each of Liverpool end of tenancy cleaners come fully prepared for the complete house or flat cleaning, that includes kitchen appliances outside and inside, kitchen sinks and the lot. For furniture and carpets, we are offering professional help, which can be booked from us at 50% price if booked with End of Tenancy cleaning. Call for end of tenancy cleans. To book End of tenancy cleaning service in Liverpool or any of our treatments call 0151 673 0104 where our friendly staff will answer any of your questions and address any concerns in a timely manner. You can get a free quote and cheap end of tenancy cleaning by phone or request one be given to you in private and on-sight.